Back row: grandson Michael Black, daughter Elaine Farquharson-Black (Curtis Cup captain), grandson Nicholas Black. Front row: brother in law George McRobb, Colin Farquharson, wife Ethel Farquharson. 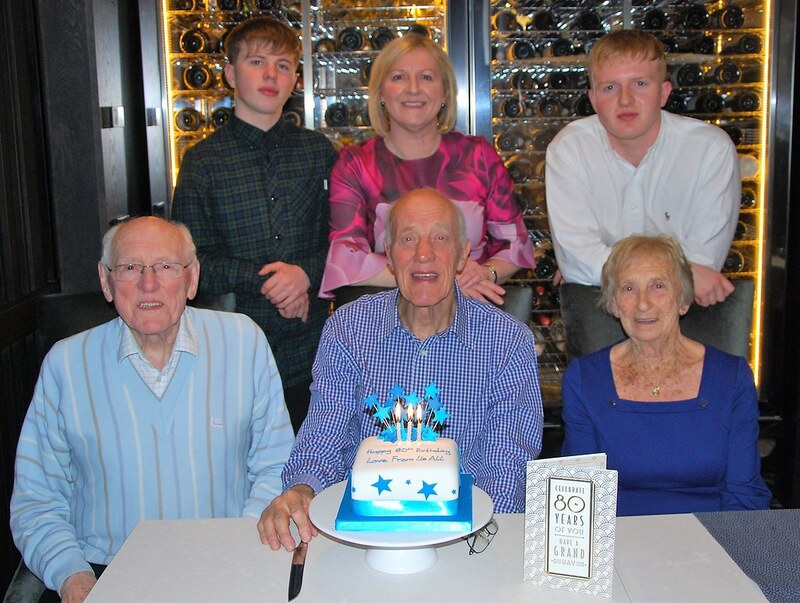 The family birthday party picture above was taken last night (28th December) at from the Chester Hotel, Aberdeen.